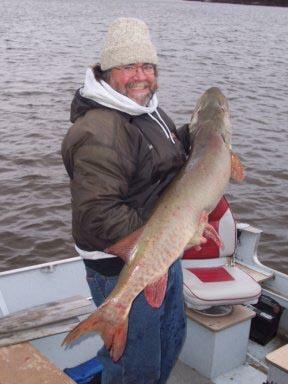 Musky Tom's Guide Service in Tower, Minnesota welcomes you to the wonderful adventures beautiful Lake Vermilion has to offer in over 40,000 acres of excellent musky habitat, with over 365 islands, and bays and reefs to explore. 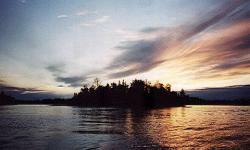 They have their own tackle available with hundreds of proven lures, or bring your own, and with the most handsome guide on the lake in charge of your expedition you will learn how to locate prime musky structure, what seasonal bait to use for clear and stained water, Vermilion bucktail, jerk bait and top water techniques as well as tricks then ensure following fish, reading weather conditions, catch and release techniques, casting and trolling patterns and so much more. 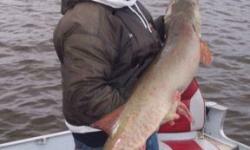 Musky Tom's Guide Service also offers Musky at night and specialize in one on one Musky trips for full day, three quarter day, or half day, come for top quality fun and service out on the water.